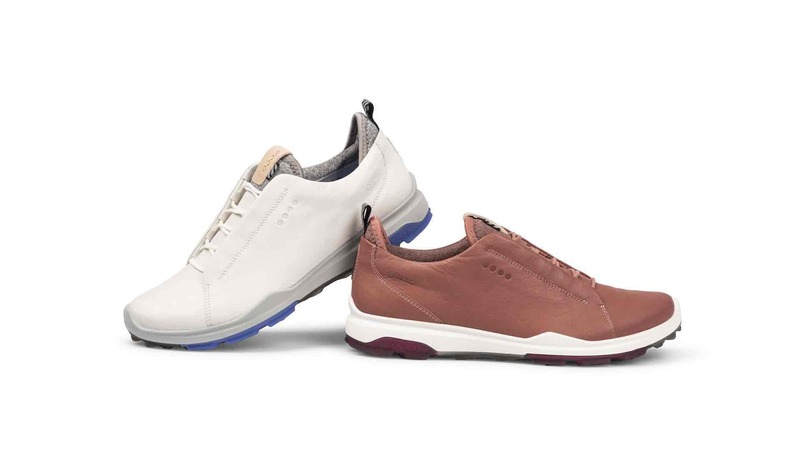 Flagbearers of golf hybrid footwear, ECCO GOLF, have added several new styles to their women’s ECCO BIOM® HYBRID 3 offering, with the popularGORE-TEX® waterproof design now available in a range of eye-catching Spring/Summer colour combinations that feature the refined derby cut lacing style. Featuring the groundbreaking TRI-FI-GRIP™ outsole, the shoe is the latest evolution of the brand’s multi-award-winning and best-selling ECCO BIOM®HYBRID franchise. TRI-FI-GRIP™ ensures multi-purpose zonal performance through three segments; one for stability, another for durability and a third for rotational support. The zonal structure is a product of intensive research and data analysis in the ECCO GOLF Lab. Each is formed from ultra-durable T.PU, meaning the shoes can be worn on and off course without affecting performance. Lead Designer Andrzej Bikowski looked for new ways to adapt the stand-out shoe to provide a fresh and eye-catching visual. “Building on the success of the hugely popular ECCO BIOM® HYBRID 3 model we wanted to continue the story by refining the appearance of the shoe and introducing some modern, considered designs. As is the case with all of the golf shoes in ECCO GOLF’s Spring/Summer 2019 Collection, ECCO BIOM® HYBRID 3 is crafted at company-owned factories that utilise FLUIDFORM™ technology to bond the upper and outsole unit, creating a durable, supple and integral bond between the sole and its leather upper without the use of glue or stitching. Benefits include flexibility, durability and a lightweight construction.